The hotel is located on the city's Left Bank, in Zavolzhsky District. ibis offers European cuisine in ibis Kitchen restaurant, a lobby bar and 117 modern rooms, equipped with our signature beds Sweet Beds, which will make your stay as comfortable as possible. The hotel is an easy drive from Ulyanovsk International Airport (Baratayevka), which will take 45 minutes by taxi. 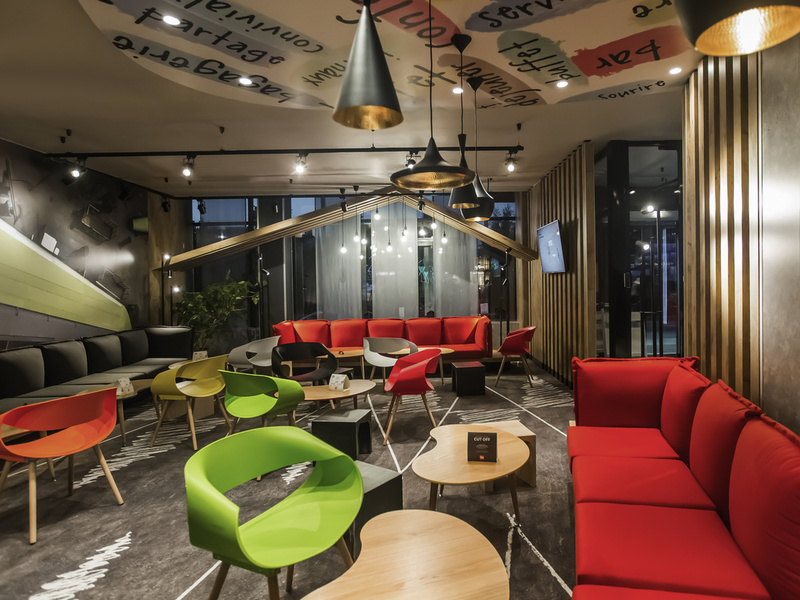 Hotel ibis Ulyanovsk is located on the central street in the prestigious district of New City on Lenin Komsomol Avenue, close to public transport stops, shopping malls and other places of interest. The best way to improve your mood - the cozy atmosphere and European cuisine at the ibis Kitchen restaurant is sure to make an impression. Bar Ibis is a perfect place to relax with friends at any time of the day.